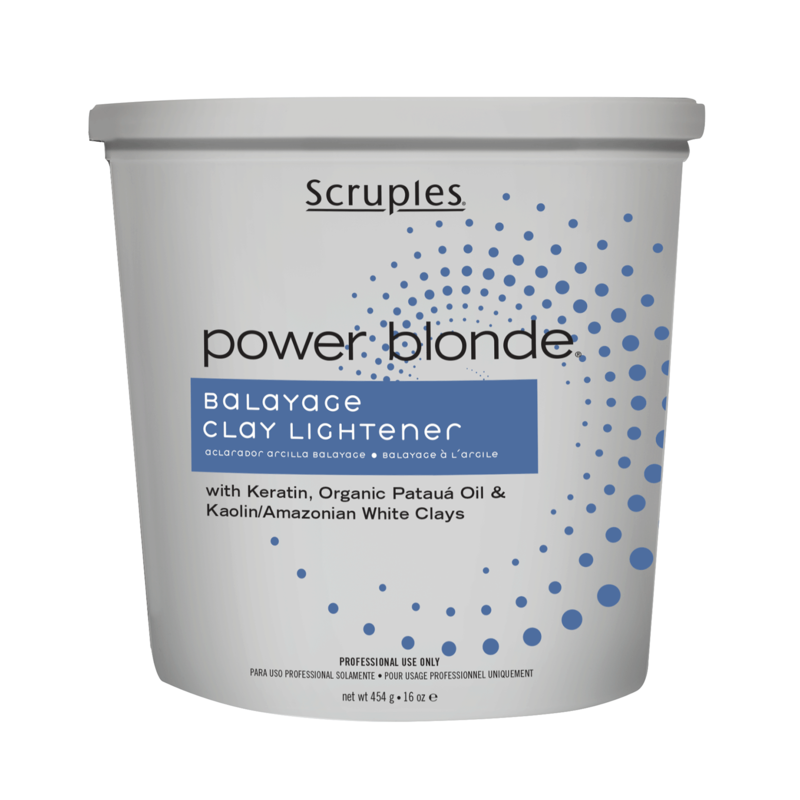 Scruples Balayage Clay Lightener for painting on-trend techniques such as Balayage, ombre, sombre, blonde and ecaille. 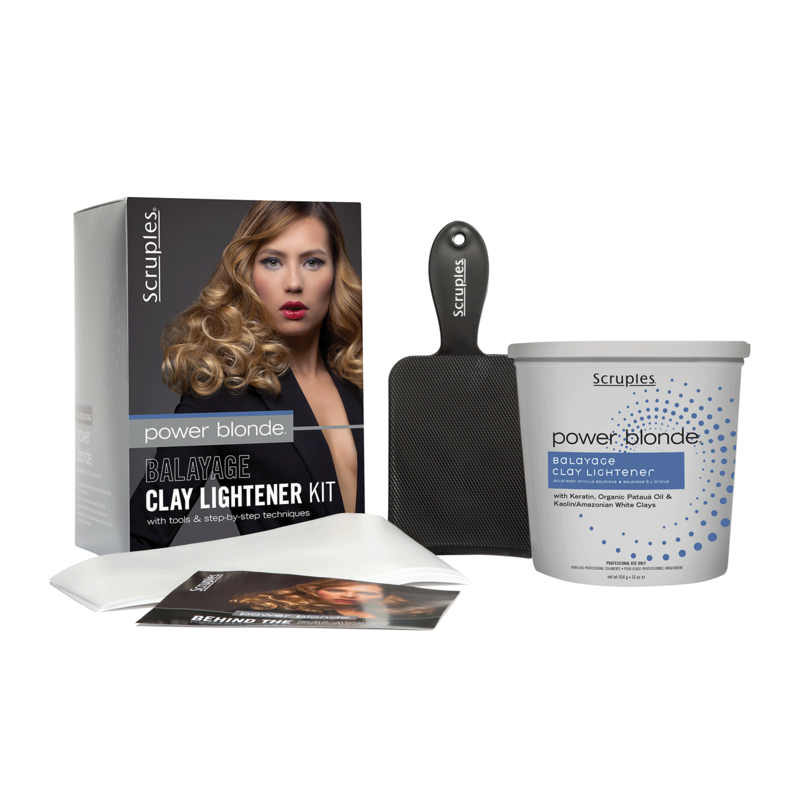 POWER BLONDE Balayage Clay Lightener can achieve 1–5 levels of lift and is designed for open air processing techniques, no foils necessary. Fortified with Kaolin and Amazonian White Clay, a blend of naturally occurring mineral clays that work to seamlessly surround and enclose the hair and lightener together, without the worry of product bleeding, swelling, transfer or oversaturation.